In cases where a single tooth and its roots are damaged, dental implants offer a fast and easy solution that replaces the tooth with minimum discomfort for the patient. If you have experienced a loss of teeth, there are multiple different ways to get them replaced. But one of the best procedures is by the use of implants. Dental implants are artificial teeth that are used as a substitute for missing teeth. They look natural and are very comfortable. The implant is made of titanium metal and is inserted into the jawbone to replace the natural tooth that was initially there. Then an artificial tooth is connected to the implant and in this case, the implant holds the new tooth in place. 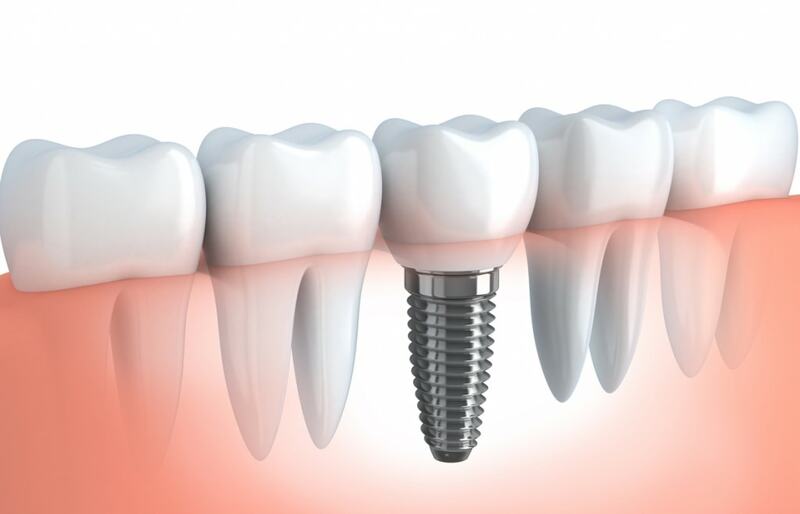 Dental implants are suitable to anyone with missing teeth and have good overall oral health. The implants are put in place during a simple, short surgical procedure done under local anesthetic. If you are looking for someone to perform this procedure, you can ask us at Rockwest because we are Mississauga dental implant specialists. You may be qualified for this procedure if you have good healthy gums. But for other people, dental implants are just not possible because their gums are too sore, and unhealthy. The first step in the process is our implant dentist will take mouth x-rays and examine your mouth to make sure they are the right fit for you. The second stage in the dental implant procedure is when the specialist will put the implant into your jawbone. Then the artificial tooth will be attached to the implant. If you have more than one tooth missing than dental implant dentists will a bridge which is will be able to replace more than one missing tooth by covering a part of your gum that has multiple teeth missing in a row. Once you have implants, it is necessary to visit your Mississauga dental implant dentist so he can make sure your bite is good and the implants are not loose. Also, you need to commit to keeping your gums healthy to maintain the implant. Like regular teeth, implants need to be brushed and flossed regularly. Your Mississauga dental implant specialist will show you how to keep your teeth clean properly. Typically the Mississauga dental implant cost is a little more expensive than other dentistry services. If you are searching for dental implants in Mississauga, you can speak to Dr. Swaida who is the head dentist at Rockwest Dental. He will examine your mouth and bone structure to see if implants would be good for you. Contact us today to learn how we can improve your smile and your life.